“Per aspera ad astra” (A rough road leads to the stars) – Perhaps nowhere else than in the exceptionally challenging vineyards around the town of Erden is that old saying more justified. 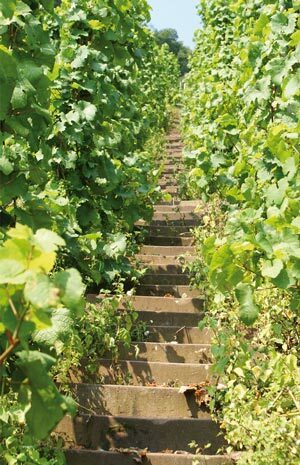 The vineyards here cling close to steep, rockyslopes that are only accessible by narrow stairs (Treppchen) carved into the hillside, but the hard work of tending to these vines is well rewarded. The ferruginous, red slate stone terroir produces racy wines with great complexity, showing intense yet spicy minerality and balance. 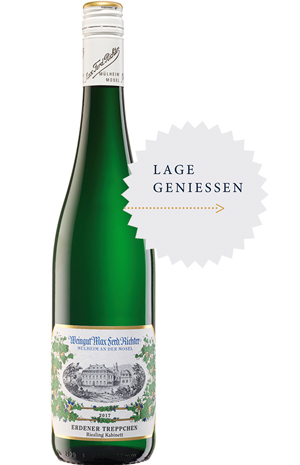 As the saying professes, the route to the highest quality Riesling is reached by atreacherous, steep path.